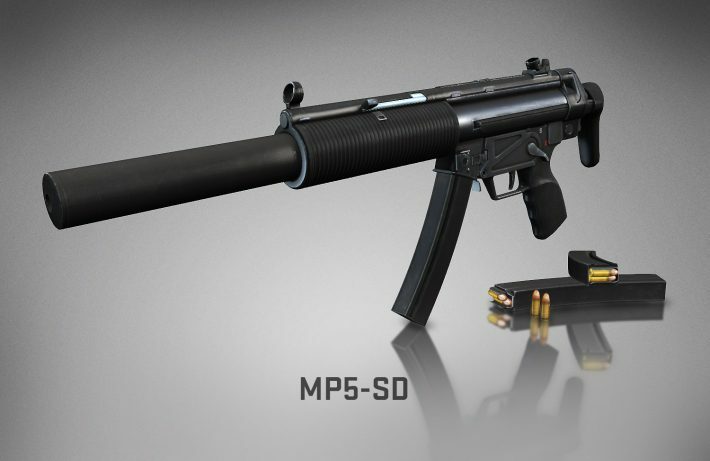 – Added the all new MP5-SD, available for testing Offline and in Official Casual and Deathmatch servers. It can be equipped in your MP7 loadout slot. – Lobbies advertised to nearby players and Steam Groups members will now expire after 5 minutes of the lobby leader’s inactivity. – Added a way to start advertising single-user lobbies to nearby players and Steam Groups members from the permissions dialog. – Fixed a bug causing some players, especially on DSL connections, to experience high packet loss due to packets being delivered out of order. – Enabled Panorama UI on Windows XP and Windows Vista game clients. – Enabled lobby chat when accept match popup is active. – Fixed various multi-line messages clipping last line of text. – Fixed unresponsive keyboard after typing and pressing ‘send’ in the chat panel. – Allow sending a Steam message to recent teammates using new Steam chat. – Spectator HUD elements now respect the cl_drawhud setting. – Fixed reconnect button when it appears over lobby chat. – Fixed MP7 walk up animation. – Game state integration includes a field “round_totaldmg” to track total damage the player dealt. – Various scoreboard bug fixes for different game modes. – Various stability improvements and fixes. – Improved reliability of downloading Overwatch evidence in Perfect World CS:GO game client. – This update includes a change to “csgo.exe” which, while signed with Valve digital certificate, may still trigger warnings in certain anti-virus packages and require users to manually change their AV software settings to update correctly.